[Attention] Please listen to this work by headphones by all means. Please do not play it with the speaker. In addition, please listen from the first track sequentially. that is apparent sounds, the perception of which arises in the brain independent of physical stimuli. This effect was discovered in 1839 by Heinrich Wilhelm Dove. and the difference of the original two sounds. pulsating 10 times per second. one to each of a subject's ears, using stereo headphones. about 1,000 to 1,500 hertz for the beating to be heard. otherwise the two tones will be heard separately and no beat will be perceived. Interest in binaural beats can be classified into two categories. First, they are of interest to neurophysiologists investigating the sense of hearing. 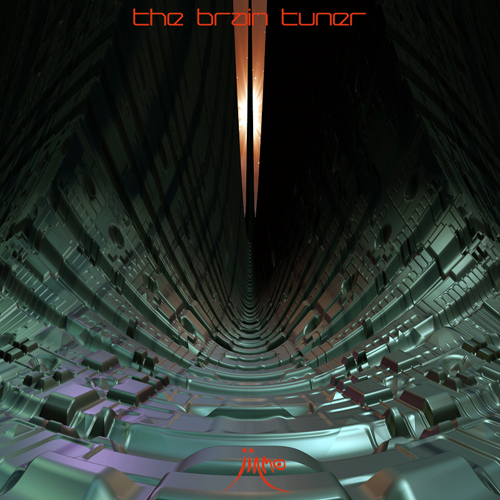 This album "The Brain Tuner" took in this "Binaural Beats" phenomenon positively. The destructive guitar orchestration developed on "Binaural Beats"
is a chaos state of the awakening and the dazzlement. the hearing experience that is new and deep.